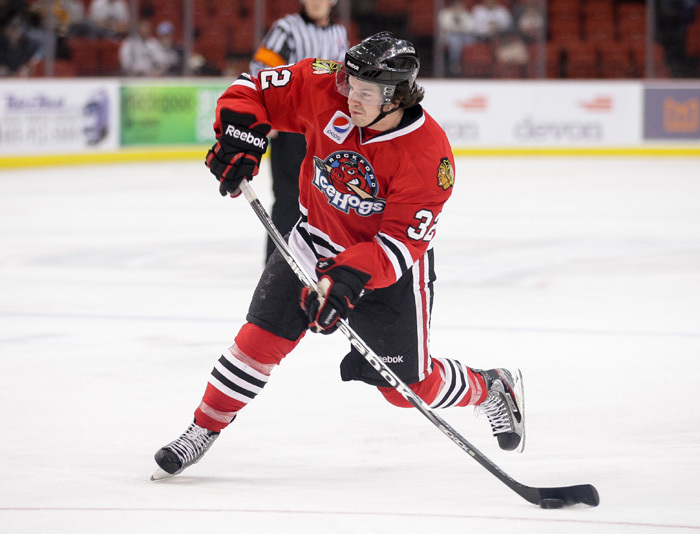 Rockford, Ill. – The Chicago Blackhawks announced on Monday that the club has recalled five players from the Rockford IceHogs of the American Hockey League for the 2012 Stanley Cup playoffs. 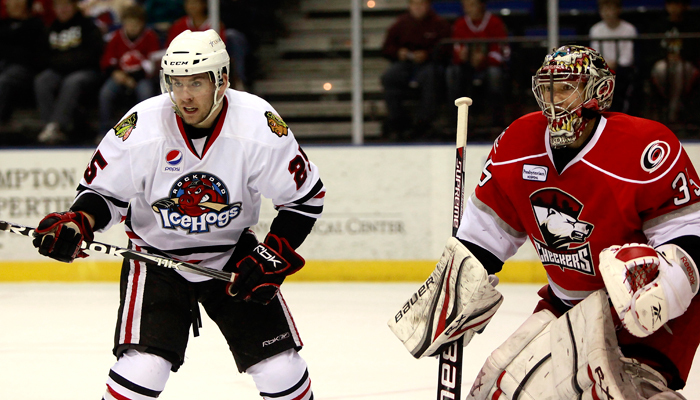 Rockford, Ill.- Yet another close game for the Rockford IceHogs as they closed out the 2011-12 campaign on Saturday, but the Hogs couldn’t quite pull out the victory as the Charlotte Checkers took a 4-3 shootout victory in front of 5,148 fans at the BMO Harris Bank Center. 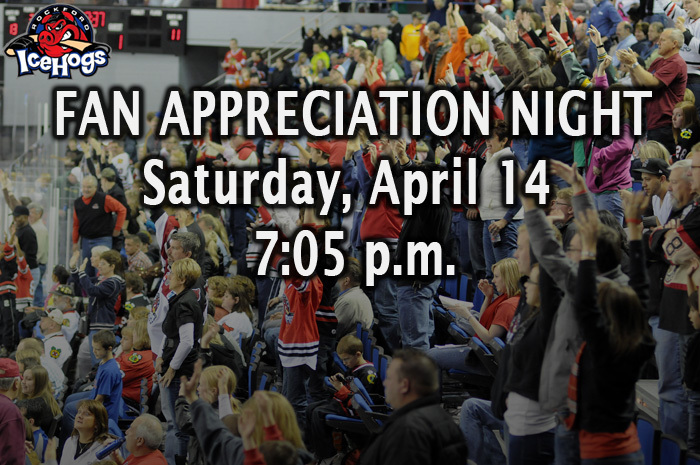 Rockford, Ill.-The Rockford IceHogs, proud members of the American Hockey League and affiliate of the National Hockey League’s Chicago Blackhawks, announced their 2011-12 team awards before their regular season finale on Saturday at the BMO Harris Bank Center. 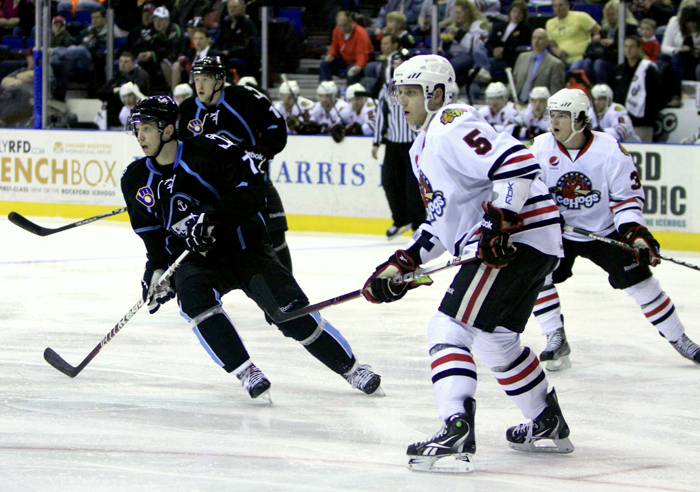 Rockford, Ill.- If there has been one constant in the Rockford IceHogs series with the Milwaukee Admirals, it’s been shootouts. 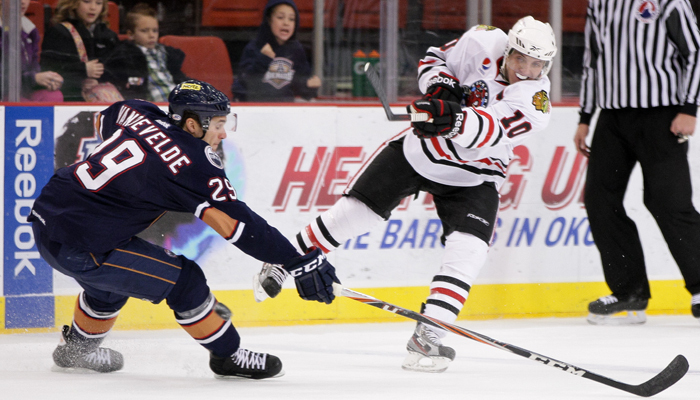 And the IceHogs have come away with four wins out of the five games that went to the extra, extra session against the Admirals, including a 2-1 victory on Friday night at the BMO Harris Bank Center. 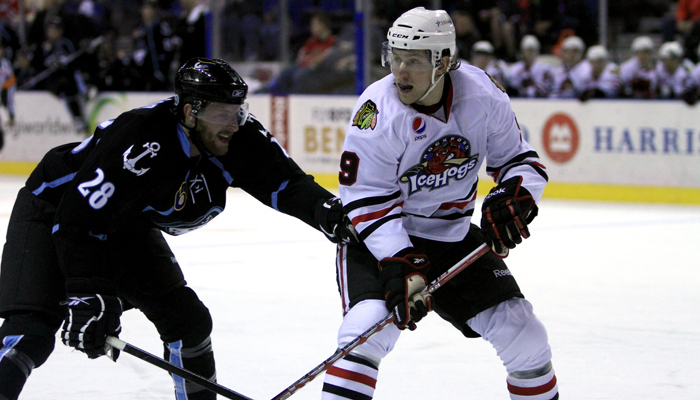 Rockford, Ill. - The Chicago Blackhawks have agreed to terms with forward Peter LeBlanc on a one-year contract for the 2012-13 season. 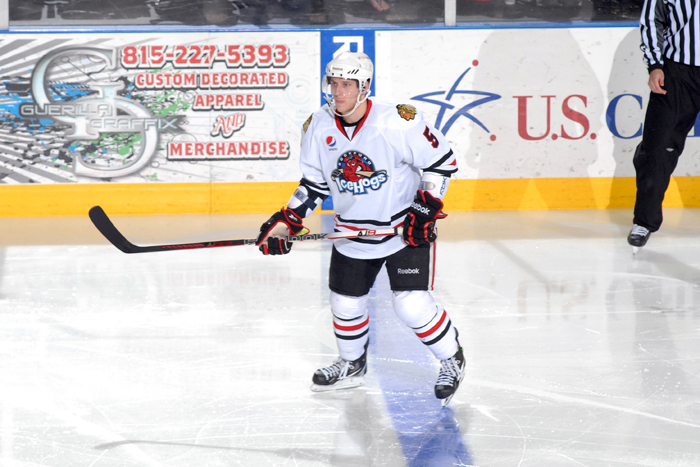 Rockford, Ill.- Only two games remain on the 2011-12 regular season schedule for the Rockford IceHogs as they close out the campaign with a pair of home games this Friday and Saturday at the BMO Harris Bank Center. 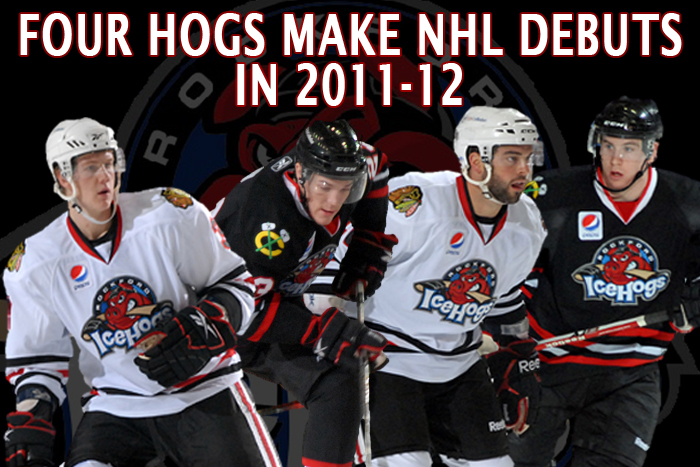 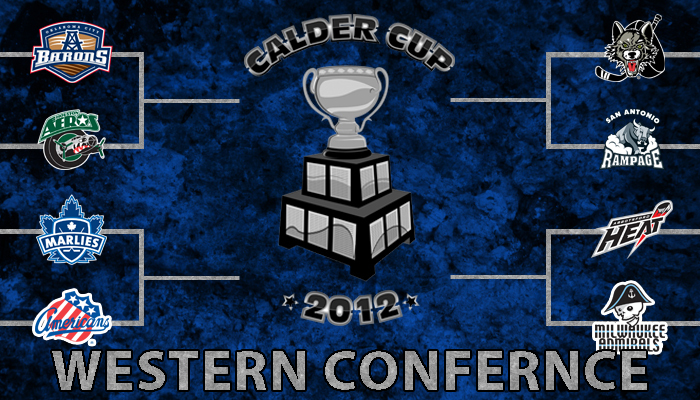 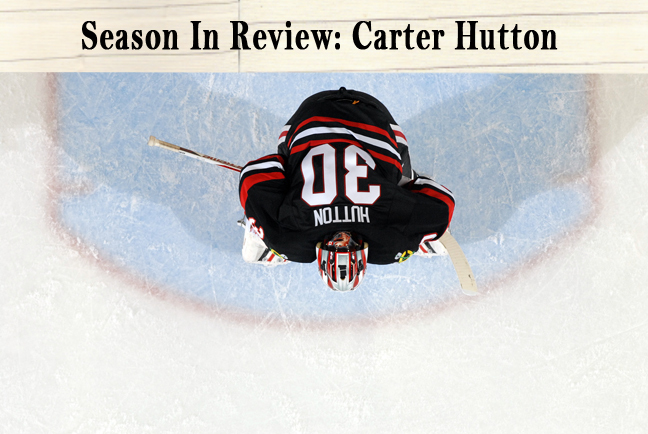 Rockford, Ill.- Charlotte has been a tough team for the Rockford IceHogs to contend with on home ice this season. 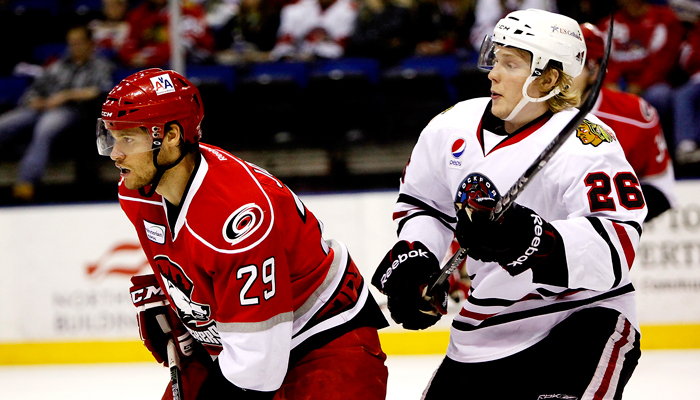 On Tuesday, a shutout performance from Checkers' goaltender Justin Peters kept the Hogs off the scoresheet as Charlotte took a 3-0 victory at the BMO Harris Bank Center. 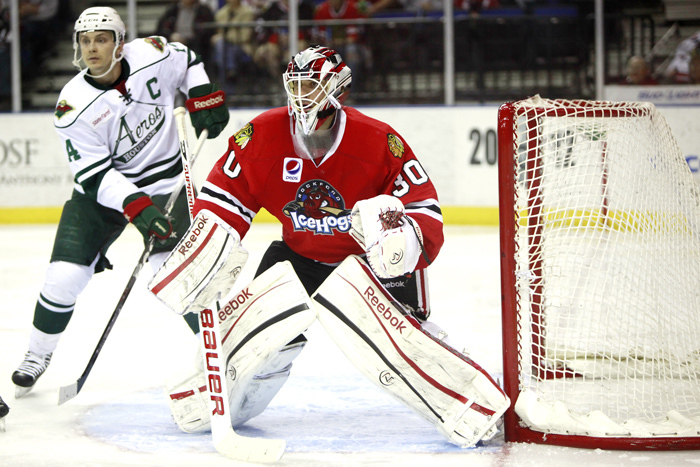 Both games in Week 27 ended with one-goal differences, but unfortunately the Rockford IceHogs couldn’t overcome the Lake Erie Monsters in either contest. 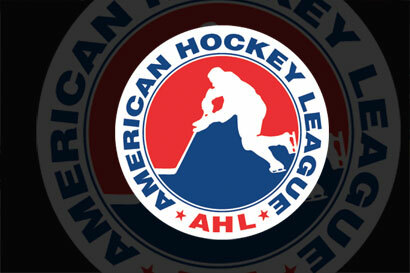 SPRINGFIELD, Mass - The American Hockey League announced today the 2011-12 AHL First and Second All-Star Teams, as voted by AHL coaches, players and media in each of the league’s 30 member cities. 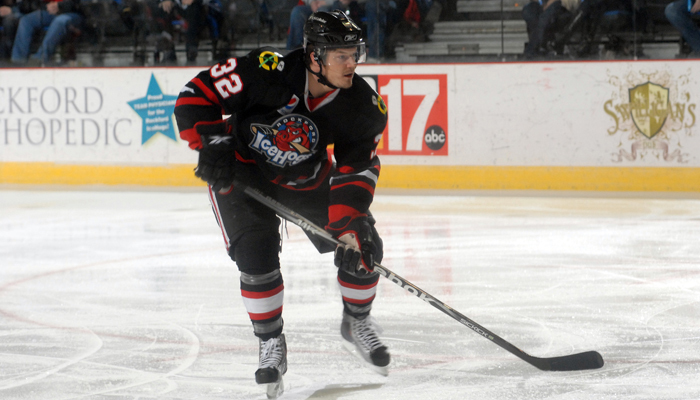 Former Rockford IceHogs defenseman Brian Connelly earned second team honors. 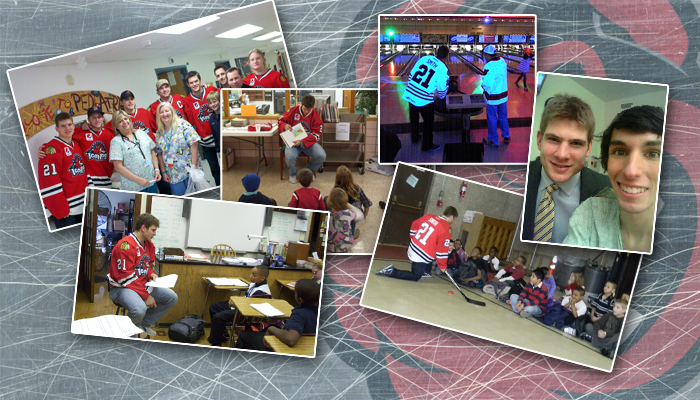 Rockford, Ill.- The Rockford IceHogs are proud to announce that Ben Smith has been named the team’s winner of the IOA/American Specialty AHL Man of the Year award for his outstanding contributions to the Rockford community during the 2011-12 season.